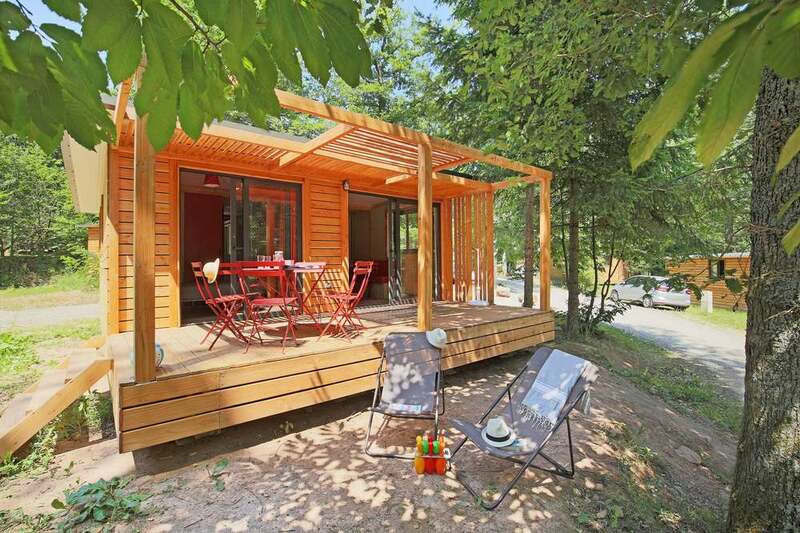 A stay in the heart of Alsace just a stone’s throw from the wine route and the region’s highlights! 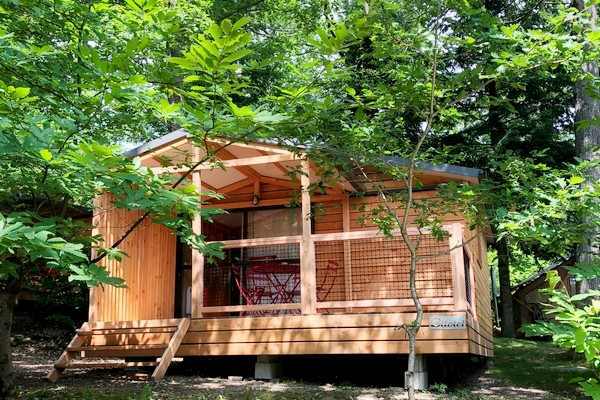 Huttopia Wattwiller campsite offers holidays in the midst of nature on a peaceful and relaxing site. 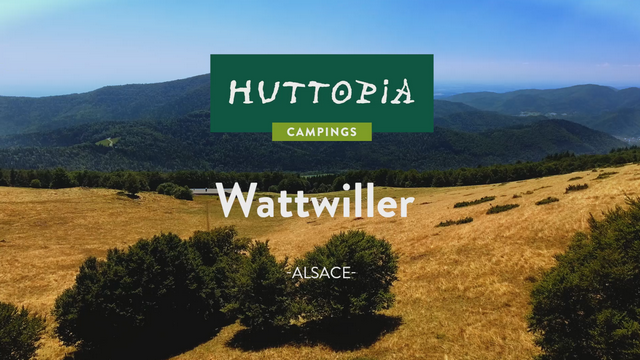 Huttopia Wattwiller campsite is the ideal place for relaxing after a day of sightseeing in the Alsace region. 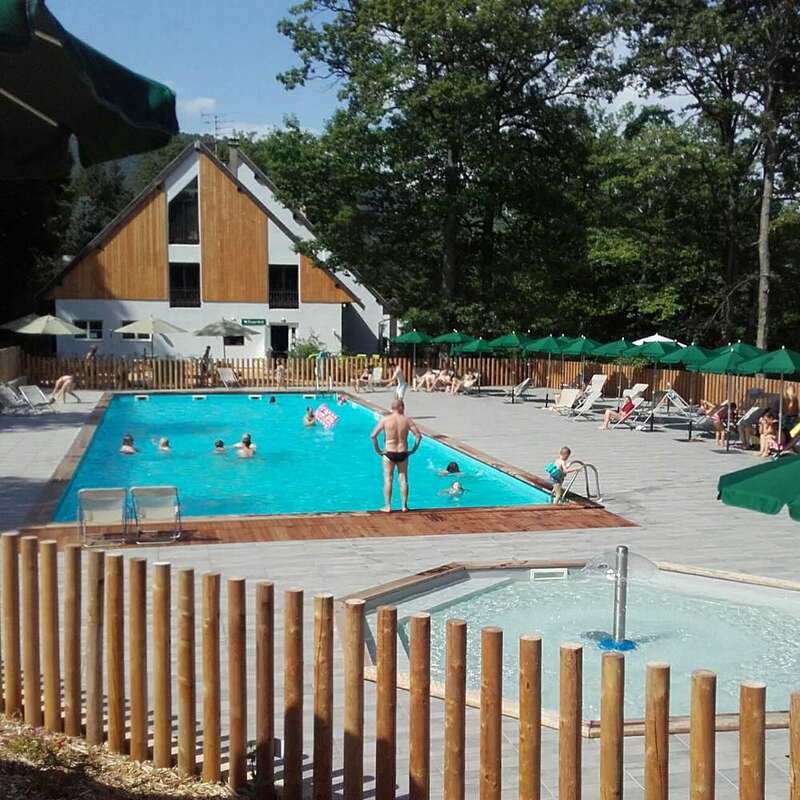 After a day out exploring the most beautiful scenery in the area by bike, motorbike, or car, holidaymakers will appreciate the two swimming pools (indoor and outdoor) at Huttopia Wattwiller campsite. 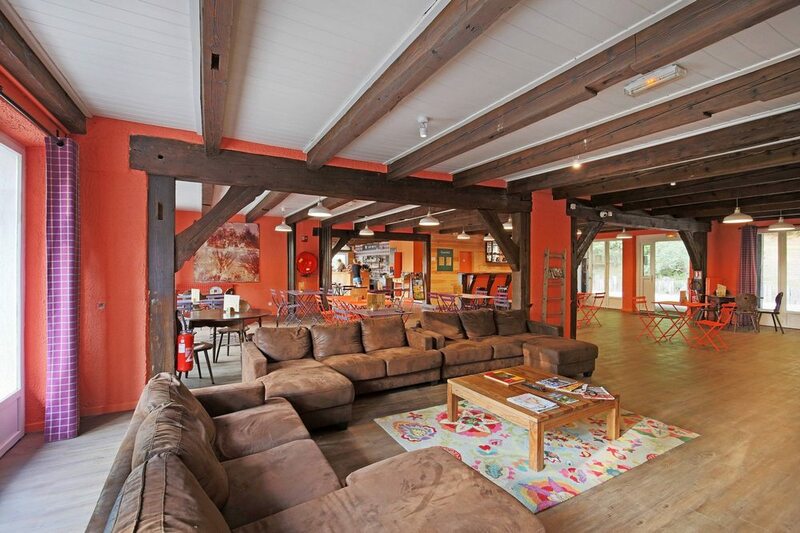 On site: tennis, food services, an activity programme for children and adults in the summer, and a cosy central lodge with a fireplace to make your holidays even more enjoyable. 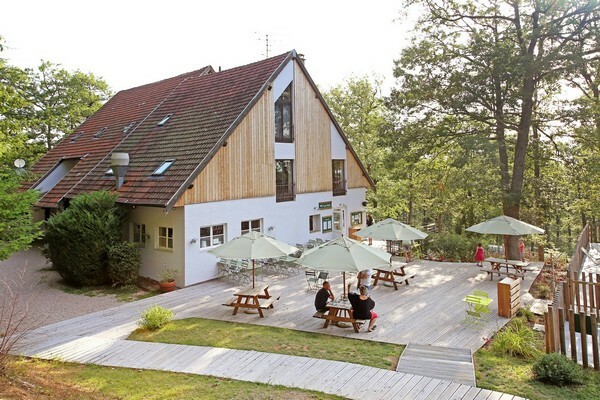 A lush green setting near the wonders of Alsace! 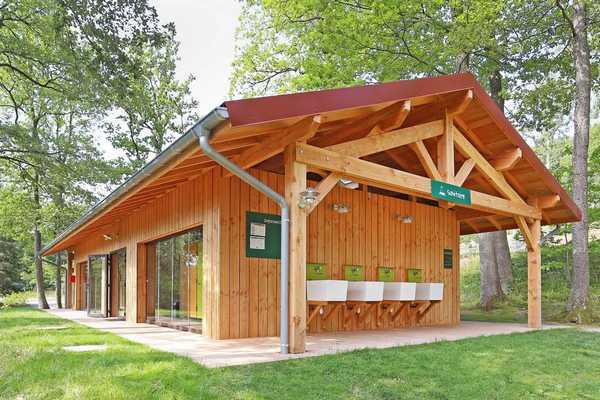 Close to Mulhouse and Colmar, Huttopia Wattwiller campsite is a spacious, woodland site, ideal for a holiday escape. 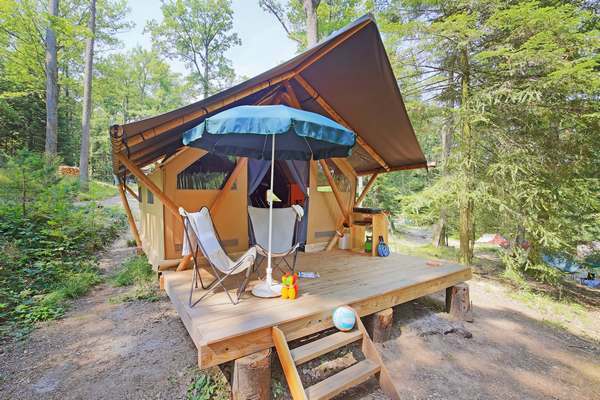 Whether you are a group, a family or a couple, you can camp the way you like best! 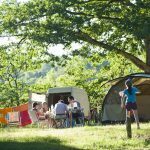 Spacious pitches for tents, caravans, and camper vans or fully equipped accommodation… there is plenty of choice at Huttopia Wattwiller campsite! 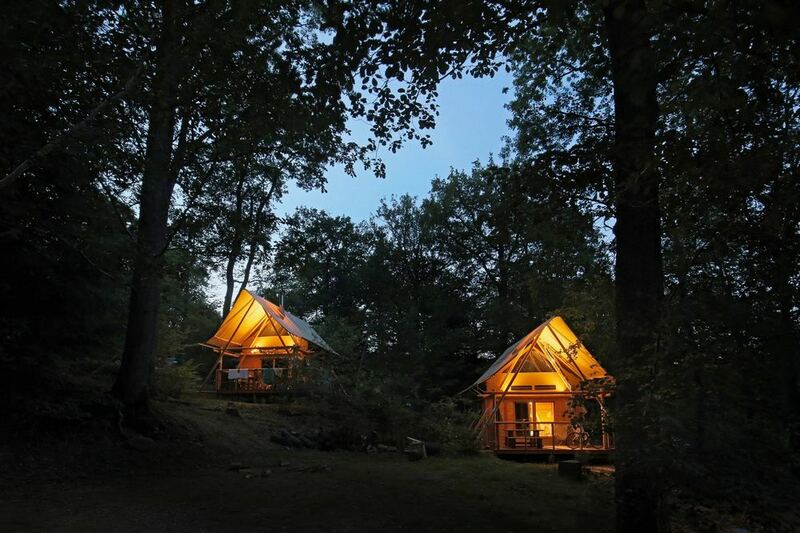 Discover 6 brand new accomodations for your stay at Huttopia Wattwiller ! 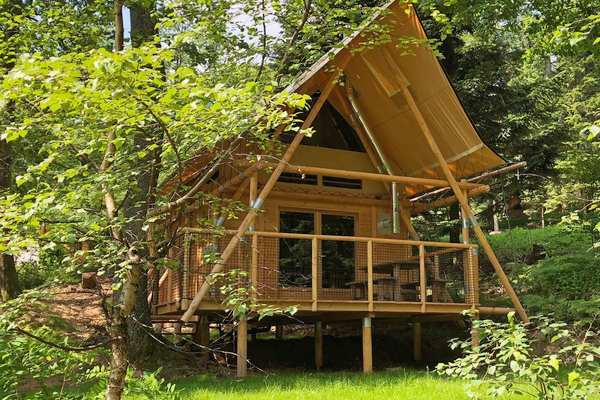 Enjoy all the comforts in the heart of nature at Huttopia Wattwiller campsite! 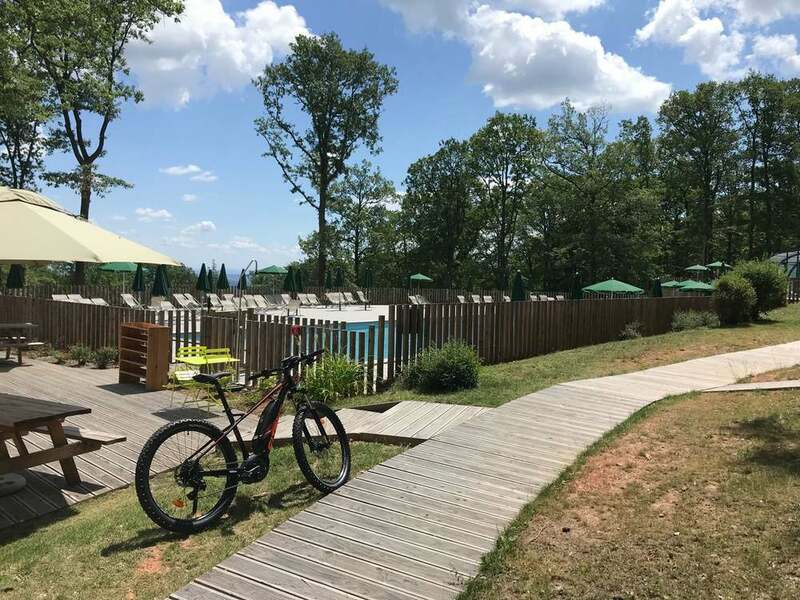 For a weekend, a week, or even longer, stay in fully equipped accommodation as you explore the most beautiful landscapes in Alsace. 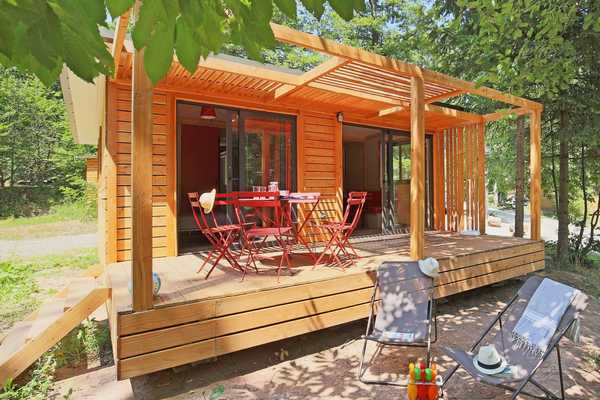 30 m² - 5 people. 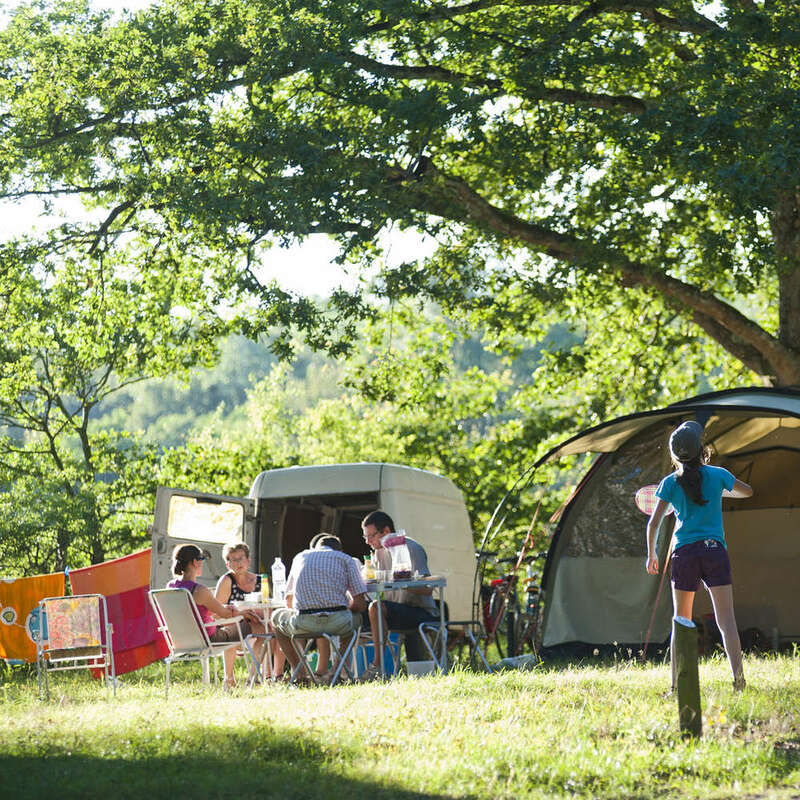 Tents, caravans, and camper vans can all set up camp on spacious, shady pitches at Huttopia Wattwiller campsite. 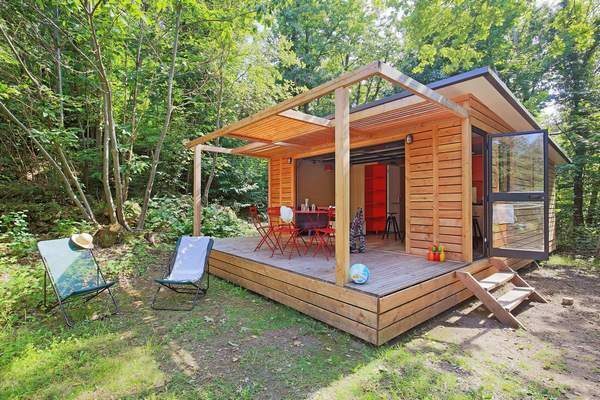 You have access to two washroom areas with toilets, showers, and washbasins. 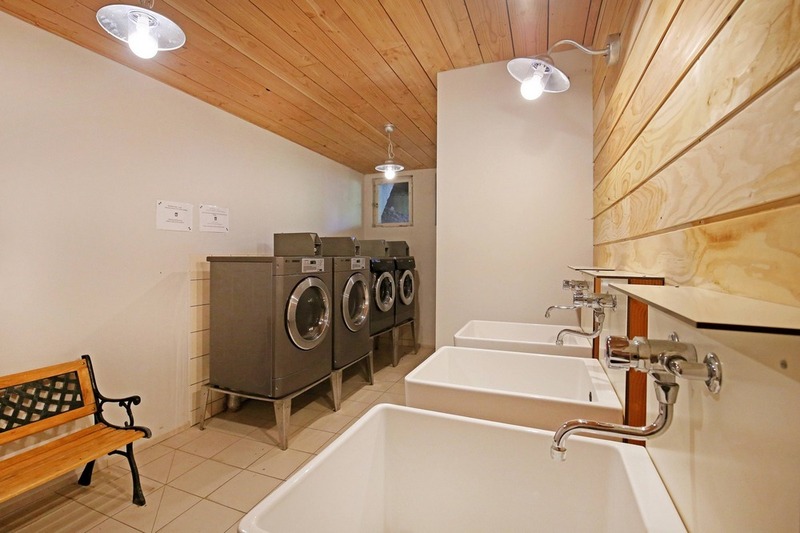 You can also make use of the brand new laundry area! 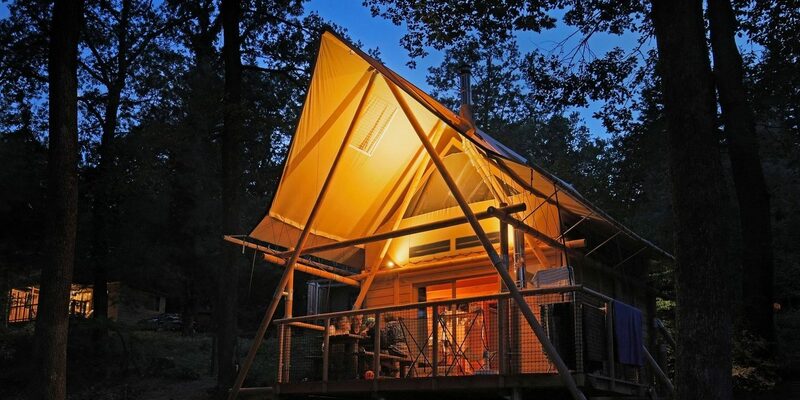 The campsite is in the middle of the forest. Fires and barbecues with coals are prohibited. 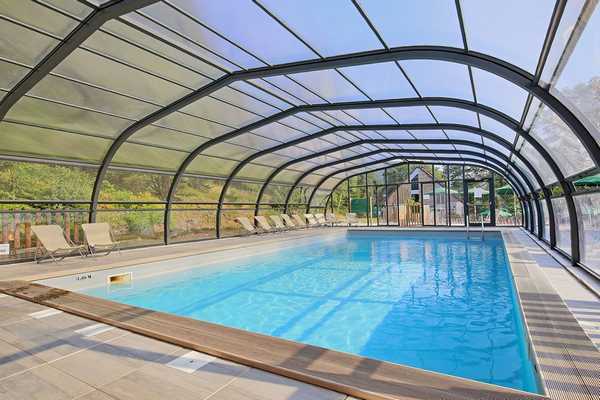 You will love taking a dip in the new heated swimming pool after a day out exploring the sights of Alsace. And why not try our breakfast menus for a great start to the day! 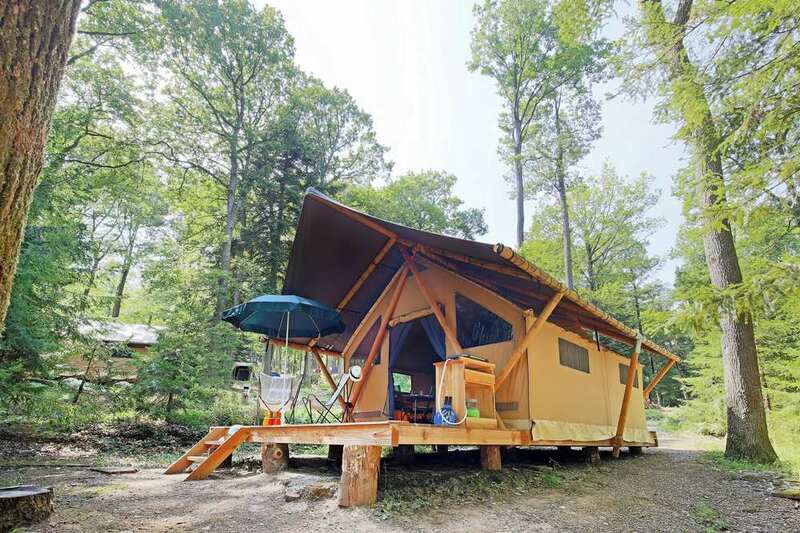 Huttopia Wattwiller campsite offers a mouthwatering menu! 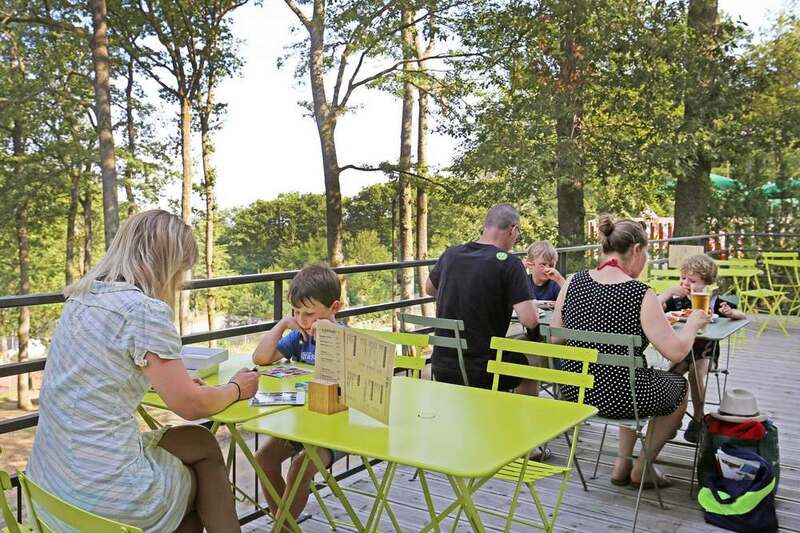 With our new terrace and dining area, you can enjoy drinks, ice creams, salads, and homemade pizzas at dinner time. 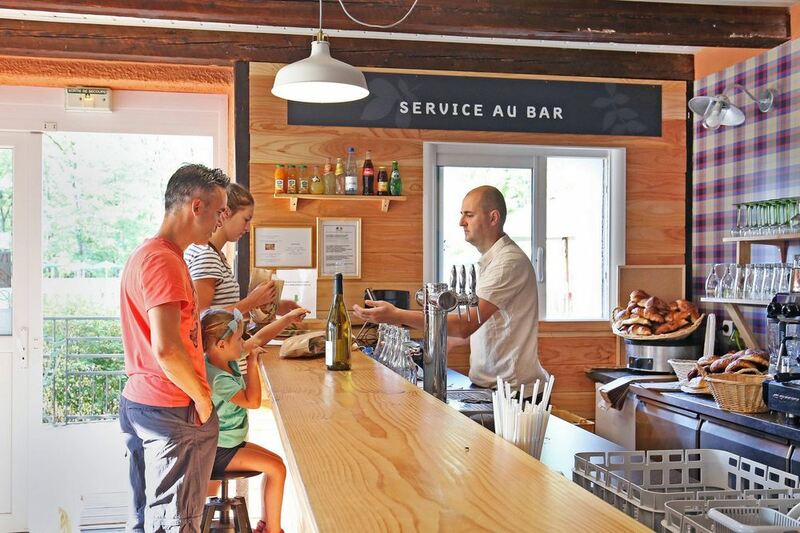 (The bar is open all year round). We value being able to offer simple, quality food services. Have you just arrived? Come along to reception for all the information you need about your stay. 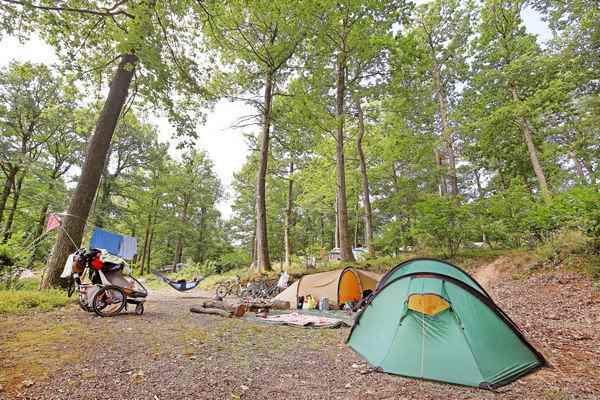 The campsite team will be happy to let you know all about the activities, routes, and events not to be missed in the region. 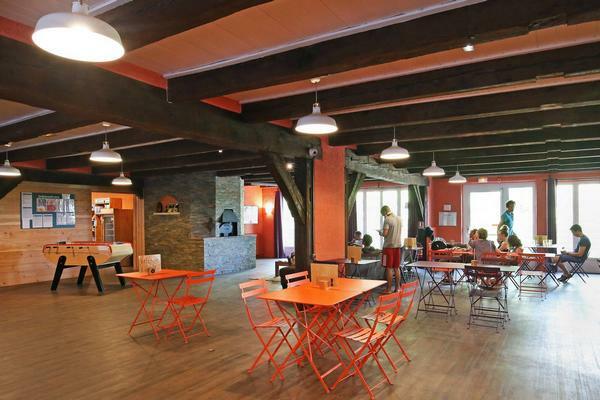 There is also free wifi in the Central Lodge. 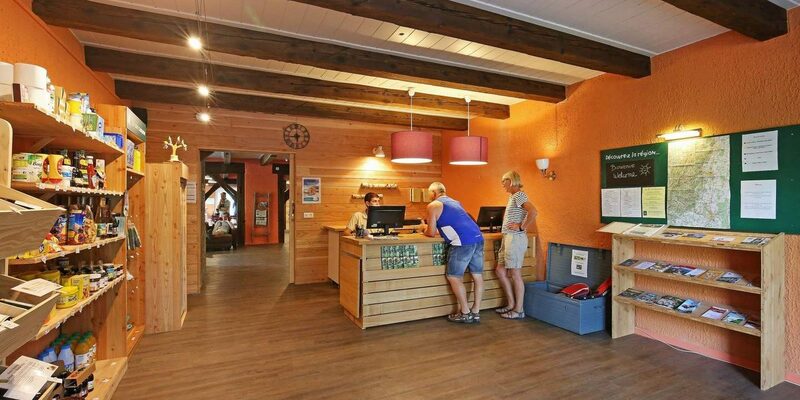 > Internet point at reception and free wifi in the central lodge. 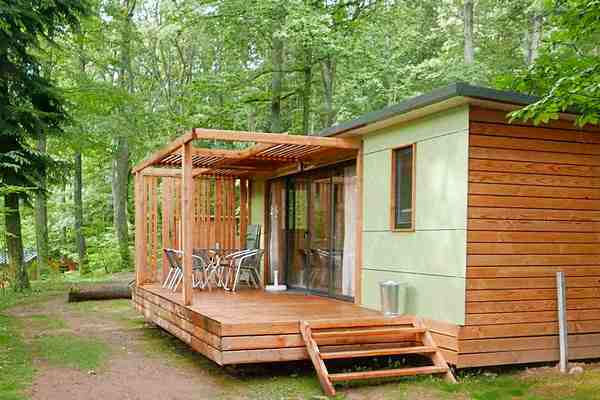 A brand new, cosy Central Lodge open throughout the seasons. Settle back comfortably to drink a coffee, read a book about the region, play a board game, or watch TV. 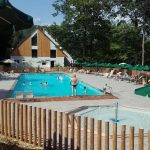 Huttopia Wattwiller campsite has two beautiful swimming pools, one covered and heated (open from 12/04 to 13/10) and one outdoor (open from 28/06 to 01/09), as well as a paddling pool for you to cool off after a busy day of sightseeing. Your little ones can paddle quietly about, and you can enjoy a well-deserved break on the deckchairs in the sunshine!  Tennis, ping-pong, petanque, playground, board games, books to borrow, and table football. 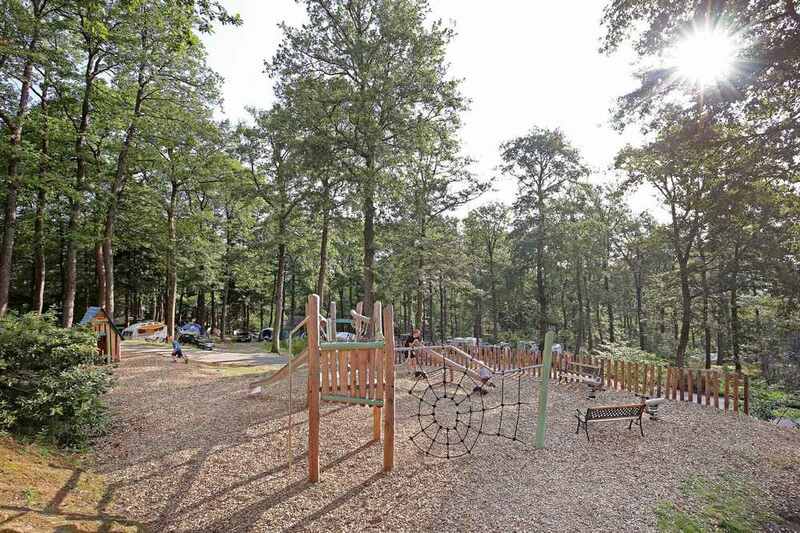 Children will love getting together every morning (6days out of 7)for outdoor activities at Huttopia Wattwiller! It’s on every morning in the summertime for kids aged 5-12 and it’s free! 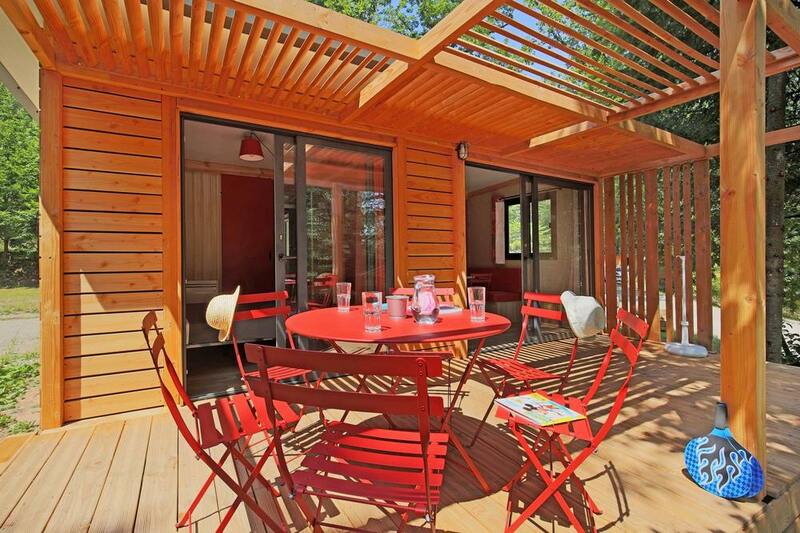 At Huttopia Wattwiller, the summer activity programme promises culinary delights and quality time as a family. 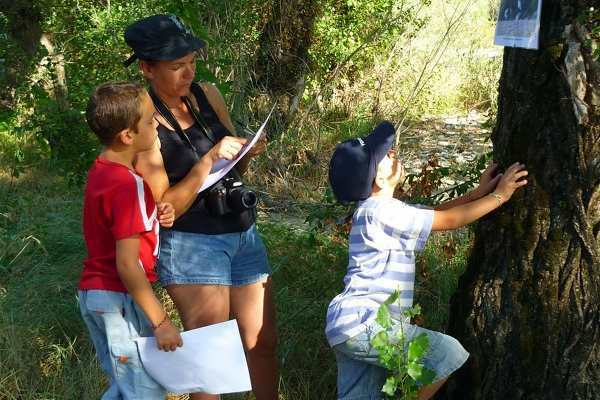 On the programme: sports tournaments, archery, treasure hunts, walks, survival courses, mini-Olympics, visiting local wineries… And much more besides! 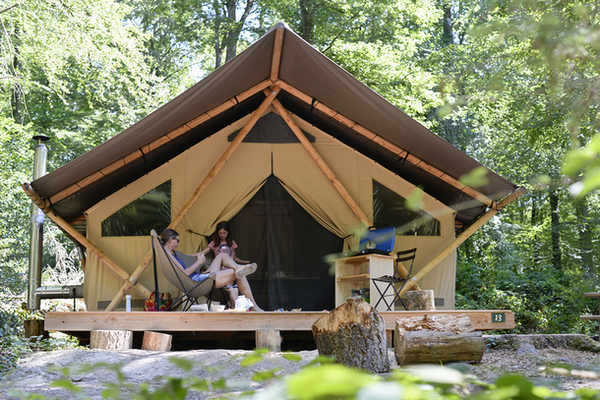 This summer, Huttopia Wattwiller campsite is running several Survival Courses on Thursday afternoons… On the programme, nature challenges and hut-building competitions. 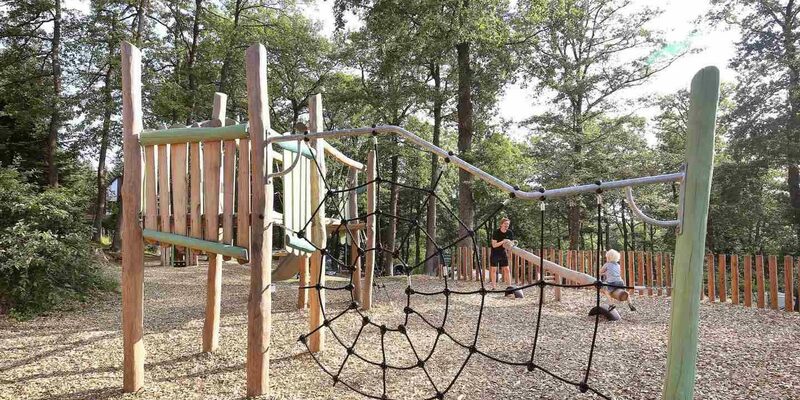 Are you ready to take on the challenge with your family? 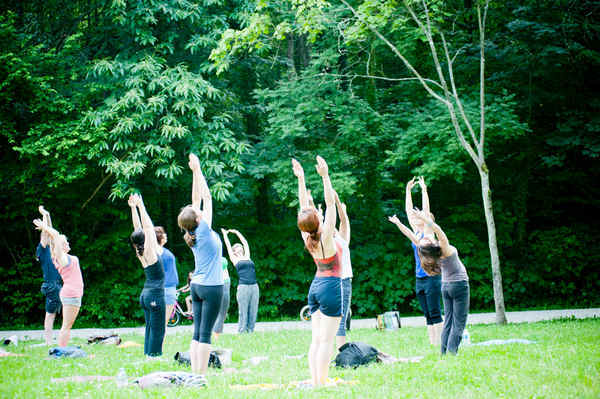 Relax with our yoga workshops, held on Huttopia Wattwiller campsite, in the heart of the Alsatian forest. Cold blood is the key to success! 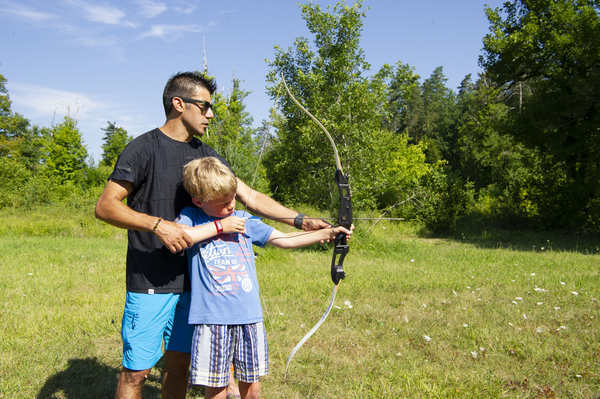 Make the most of your family holiday to try your hand at archery and play at Robin Hood. 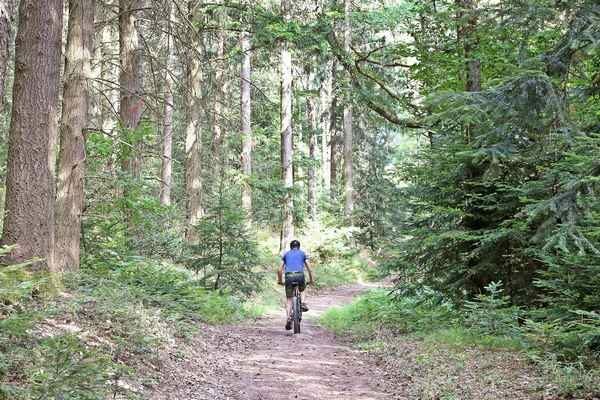 Explore the Alsace in true freedom on an electric mountain bike. On mud, in sand, uphill… nothing will stop you! Available for hire by the day the half day, the whole season! Ride the area by bike! 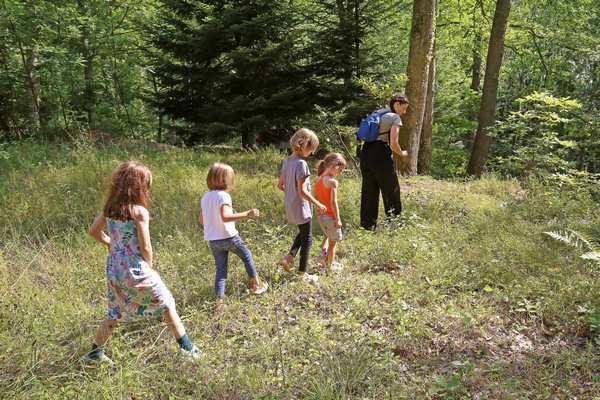 The Route des Crêtes offers you an ideal environment for beautiful nature walks. 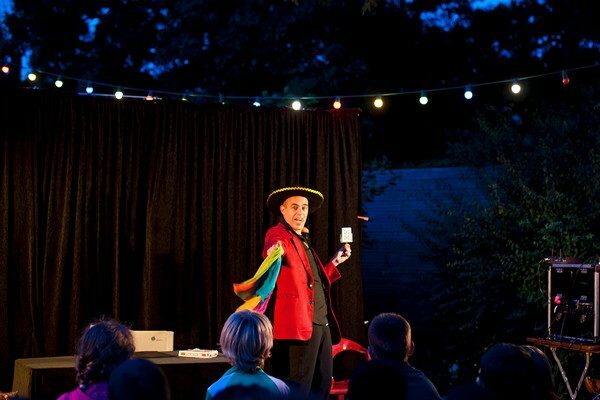 Whether as a spectator or a magician, get ready for some abracadabrastic evenings for little and big dreamers alike. Learn circus skills such as juggling and acrobatics, and enjoy a show combining magic and hypnosis. 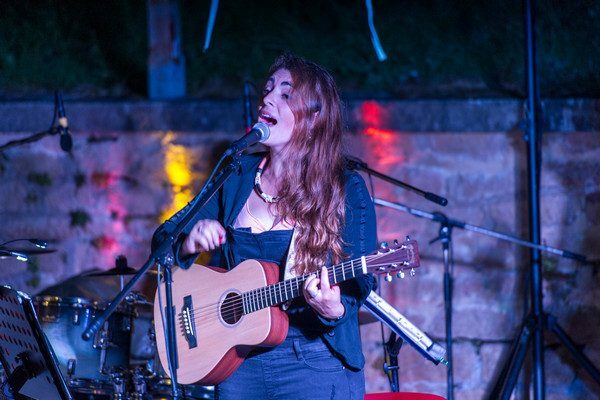 On Tuesday evenings at Huttopia Wattwiller come and listen to music from diverse backgrounds, for an enchanting evening with your loved ones. 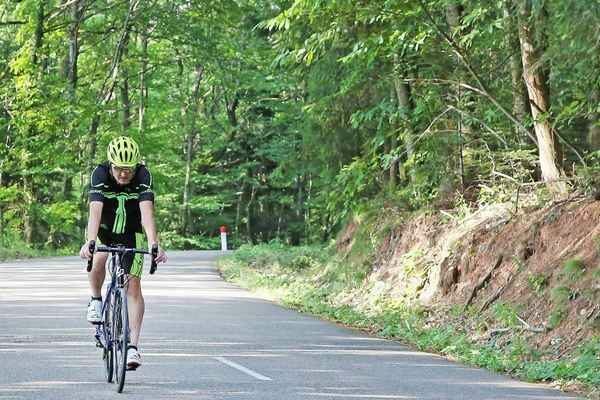 Ideally located between the Vosges, the Jura, and the Black Forest, Alsace will seduce you with its lush green mountains and traditional half-timbered houses. Prepare to explore enchanting landscapes, as you discover a region steeped in heritage. Extending across almost 3,000m2 straddling two regions, forests, high pastures, peat bogs and lakes blend together seamlessly in the heart of rich, abundant nature. On foot, by bike or car, cross it on the Route des Crêtes, a 73km route from Cernay to Sainte-Marie-aux-Mines. 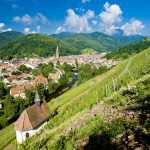 Also discover the Ballon d’Alsace and the Hartmannswillerkopf (Old Armand), a majestic national monument of the First World War offering a breathtaking view. The point of interest not to be missed? Le Grand Ballon, the highest peak in Vosges rising 1,424m high. 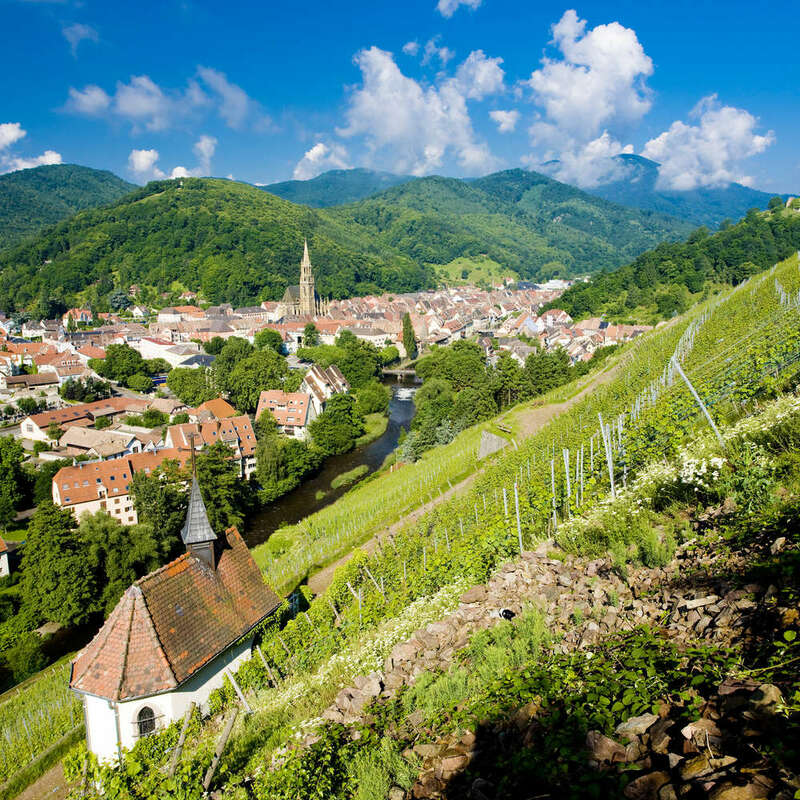 Inaugurated in 1953, the Alsace Wine Route is one of the oldest Wine Routes in France, and now extends over 170 km. Throughout the year, it offers a range of wine-related activities to visitors, whether novices or connoisseurs. 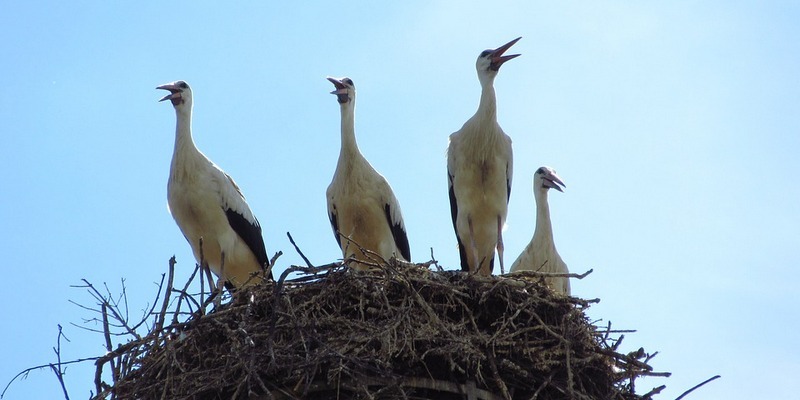 Europa Park, the Montagne des Singes, the Volerie des Aigles, and Haut Koenigsbourg castle are all great fun for children and adults alike. 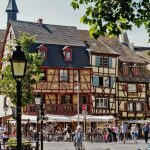 Eguisheim, Ribeauvillé, and Riquewihr: three Alsatian villages not to be missed! 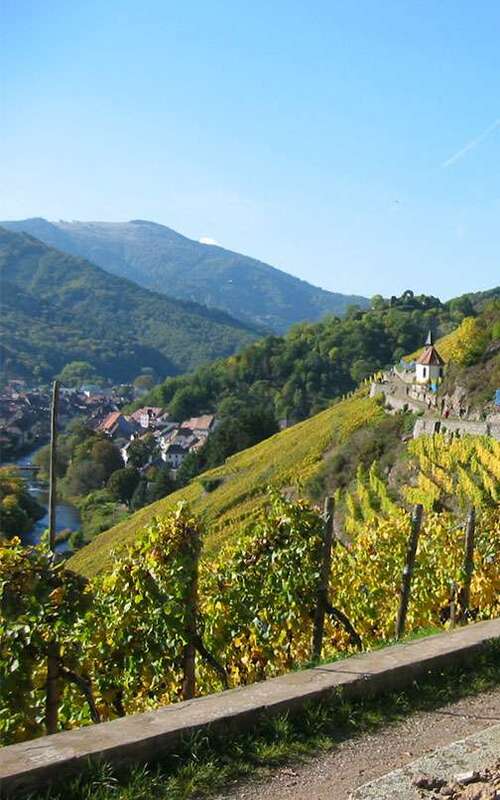 In the midst of vineyards, the coloured, half-timbered houses create an idyllic and picturesque setting. Take a stroll through the traditional narrow streets for a guaranteed change of scenery! 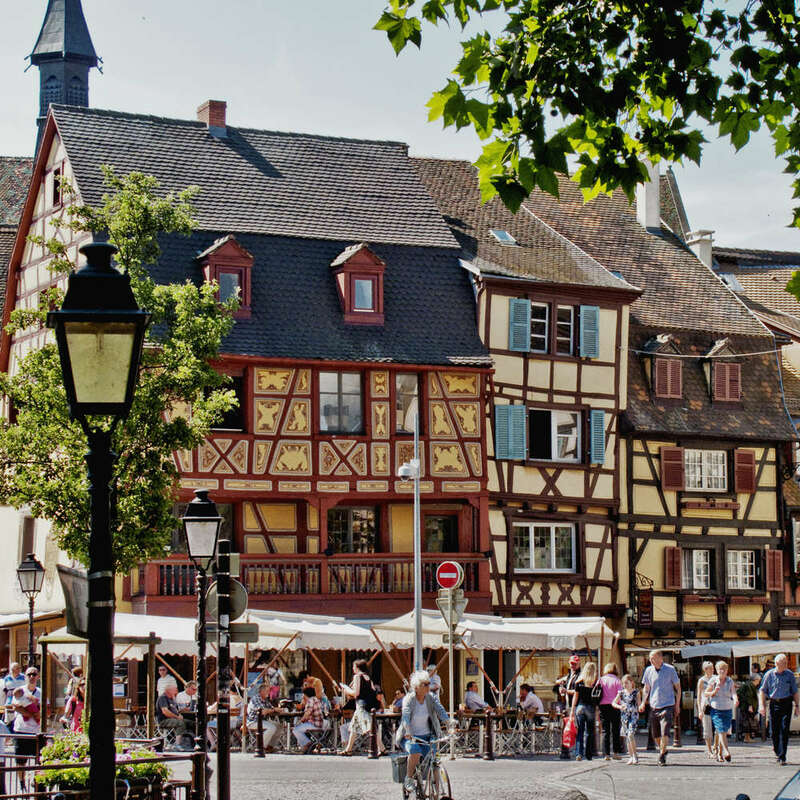 Just 30 minutes away, discover this emblematic Alsatian town, with its traditional districts and unique heritage. 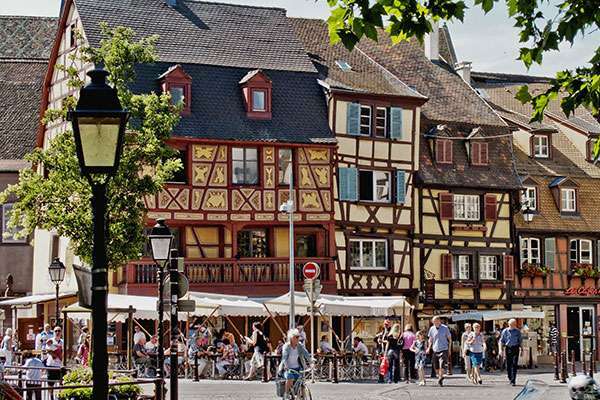 As you stroll through its quaint districts, you will be enchanted by the half-timbered houses with their brightly coloured roofs. Enjoy a cultural break at the Unterlinden Museum and the Bartholdi Museum, not to mention the Toy Museum, and the Museum of Natural History… At Christmas? 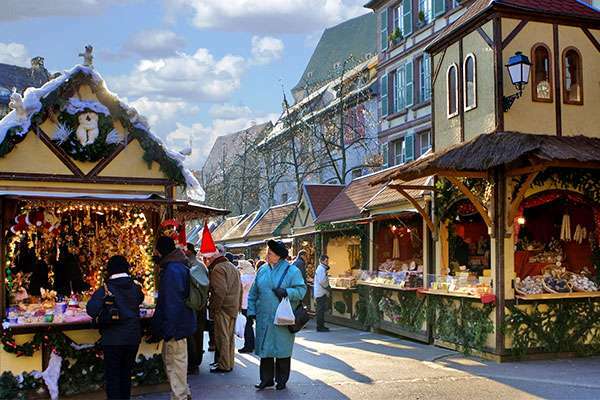 The Christmas market is a magical sight that is well worth the visit. 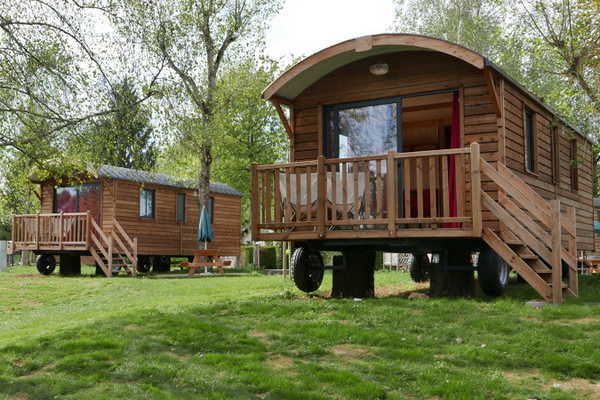 Closer to the camp site, you can discover Guebwiller, an Art and History district, with its architectural heritage, Cernay and the Parc des Cigognes, Uffholtz, and even the village of Thann with its religious buildings and legends surrounding the witch’s eye. 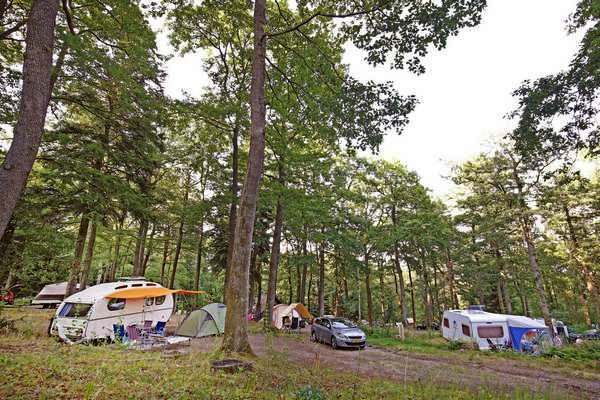 The campsite was great in a lovely location with excellent facilities. Excellent clean facilities, lots to do for children. Shady pitches which kept us cool all day. Pools could have been a little warmer, especially when the temperature dropped but clean and well kept.